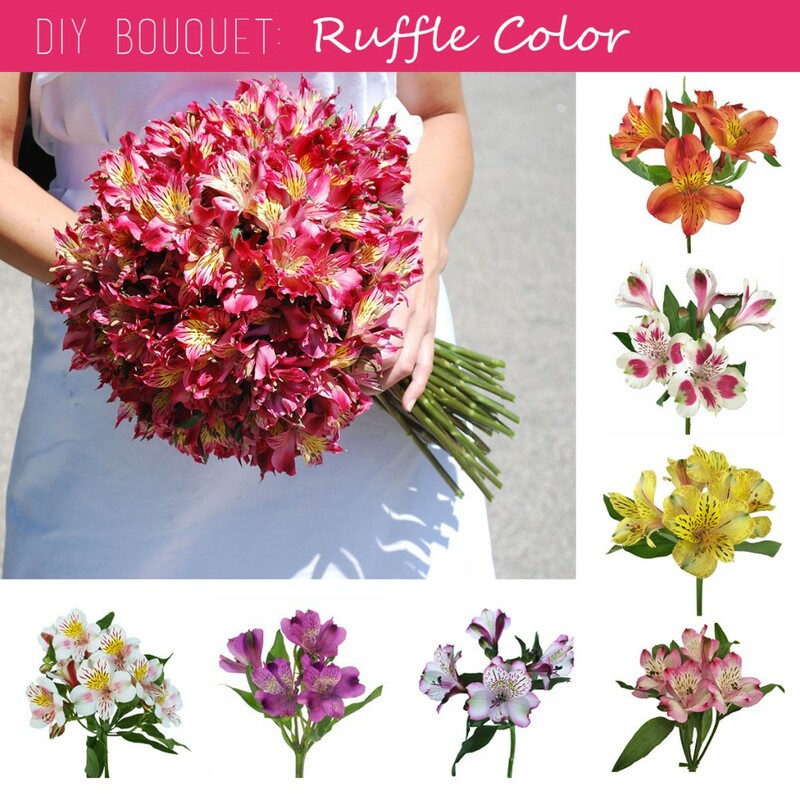 Make your own Peruvian Lily bridal bouquet and have a ruffly, colorful walk down the aisle. If you love elegance and texture this flower, also known as Alstroemeria, may be the right choice. Alstro/Peruvian Lilies are easy to work with and you get glamour and intrigue with just one flower variety. This pretty bouquet is the perfect place to start if you’ve never worked with flowers before. The best part? Peruvian Lilies come in 65 colors so you can find the perfect match and make your day a total stand-out. So, which color will you choose?